There was a lot of chatter about the suspended gold particles in the ink, and speculation as to whether or not the particles could/would clog a pen’s feed. So I after I ordered the ink I spent some time thinking about the pen that I’d use it in. I decided to steer away from pens that were pricey or very dear to me, and knew I’d want to go with something replaceable, should there be catastrophic cloggage. One of my many Lamy Safaris would’ve been a perfectly fine candidate, as they aren’t costly, and nibs, or even whole pens, are easily replaceable without breaking the bank. 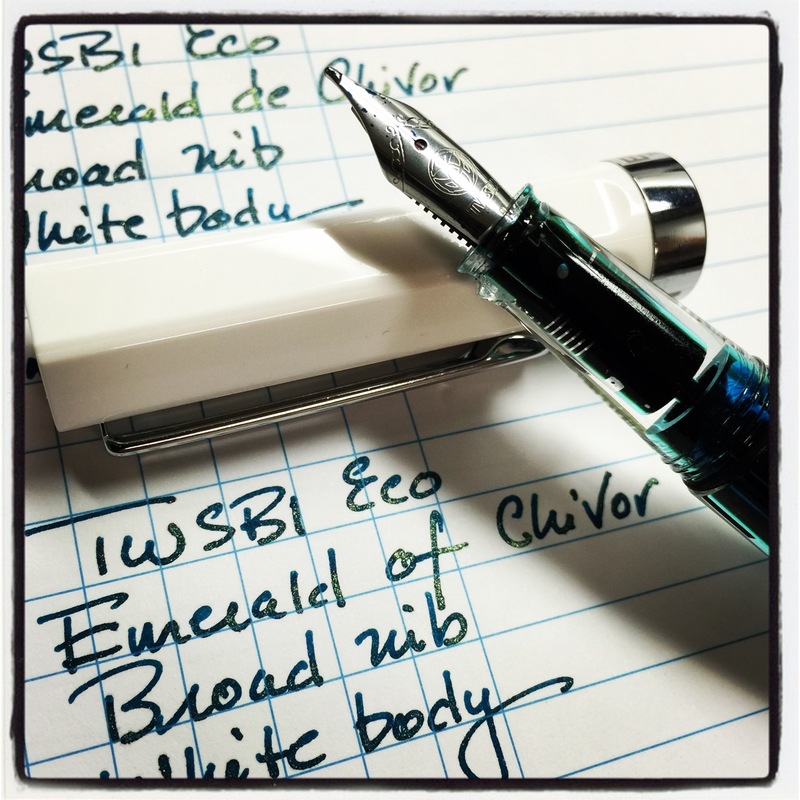 But instead of going the Lamy route, I caved and purchased a couple of TWSBI ECOs— a white one with a bold nib and a black one with a medium nib. I initially decided to forgo the ECO as I wasn’t sure I liked the look, and was content with my 540s, 580s, Vac 700, Micarta, and Minis. That seemed like plenty o’ TWSBIs for one person. 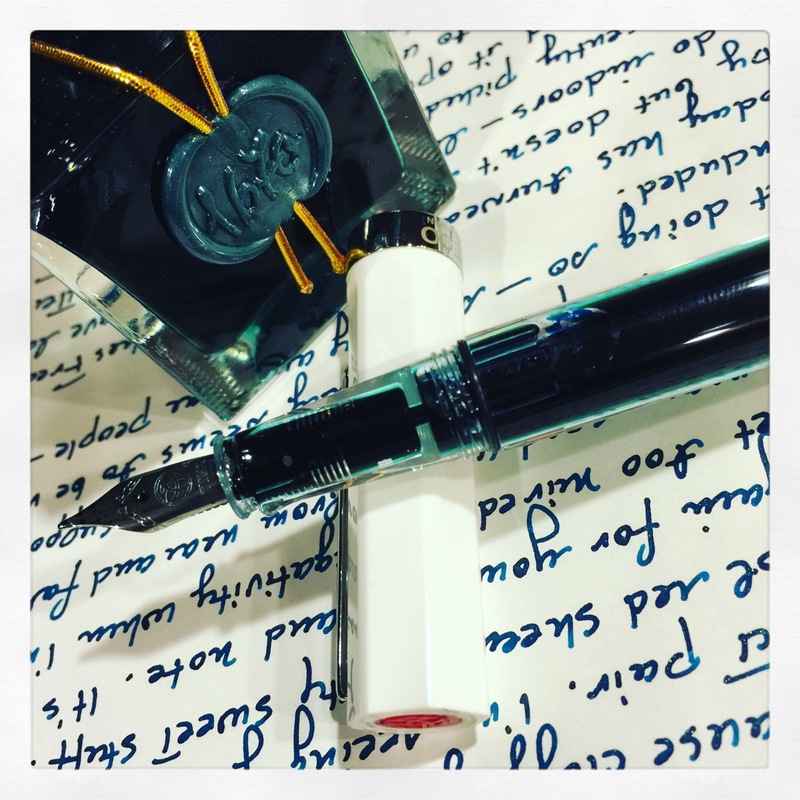 But then I got it in my head that an ECO paired with the Emerald of Chivor ink would be the perfect match, and my “no more TWSBIs” resolution evaporated, as many of my pen-themed resolutions seem to do. So…was that a good move? 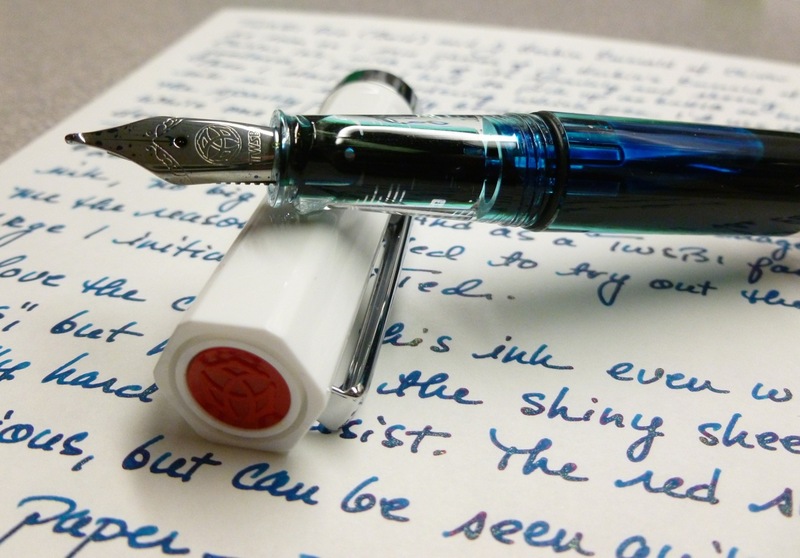 The TWSBI ECO is a very reasonably priced ($28.99) piston-filler fountain pen available with EF, F, M, B, or 1.1 Stub mm nibs. I find the 1.1 mm to be a little too wide for my handwriting, but wanted a good amount of ink on the page so I opted for both the bold and medium versions. At the time of this review, I’ve only inked the pen with the bold nib and am very happy with the nib’s smoothness and wetness. My small handwriting is still legible and some of the dramatic characteristics of the Emerald of Chivor ink pop on the page, though maybe not as much as would be seen with a wider stub. 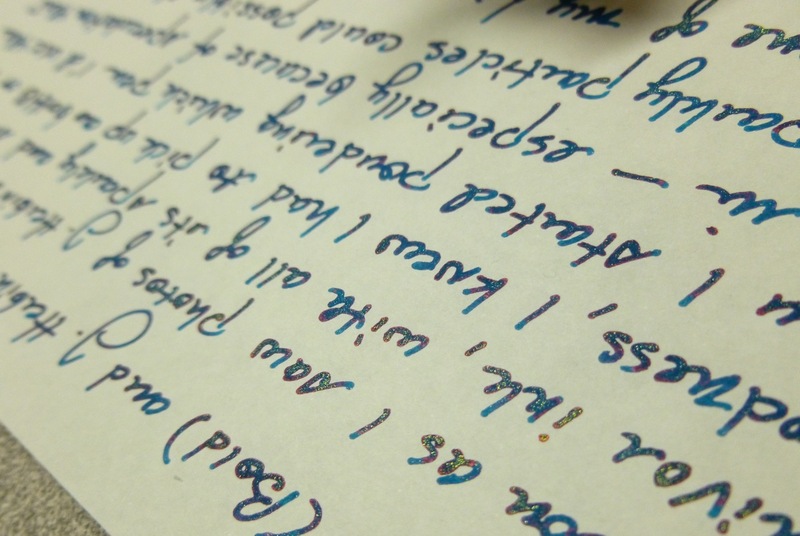 It’s a good compromise for me—a good amount of ink, some shine, some sheen, and legible writing. 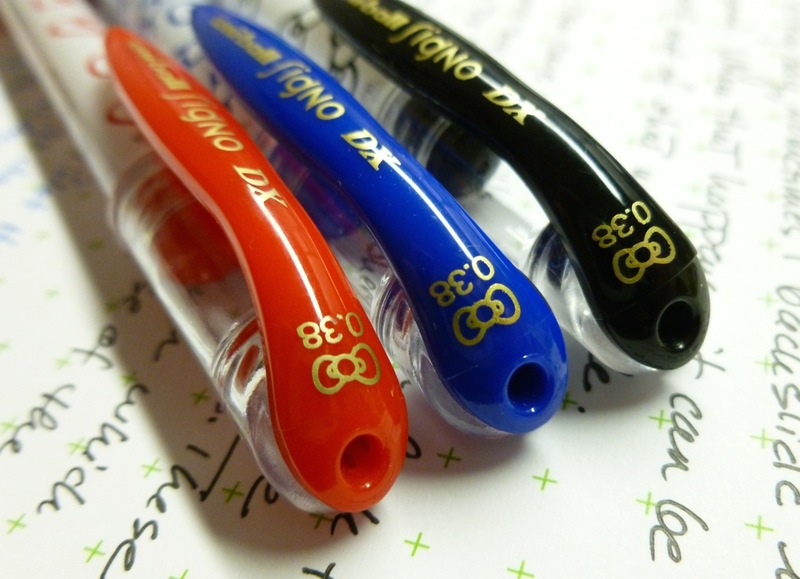 The clear barrel allows for an unobstructed view of the gold sparkles in the ink. I may be easily fascinated, but I have to admit that this sight continues to dazzle me. A quick shake of the pen and the gold particles are resuspended so that they flow onto the page. 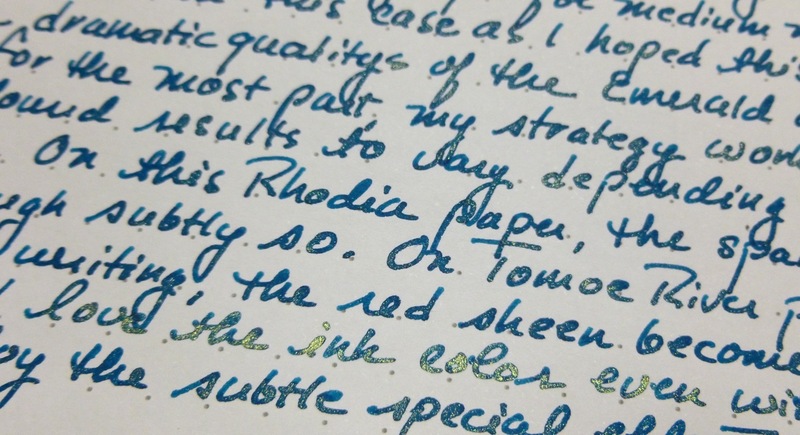 On Rhodia paper, I see a good amount of sparkle, but not much of the red sheen. Still, the color is killer and there’s enough pizazz here to make letter writing or journaling, or even to-do lists, fun. 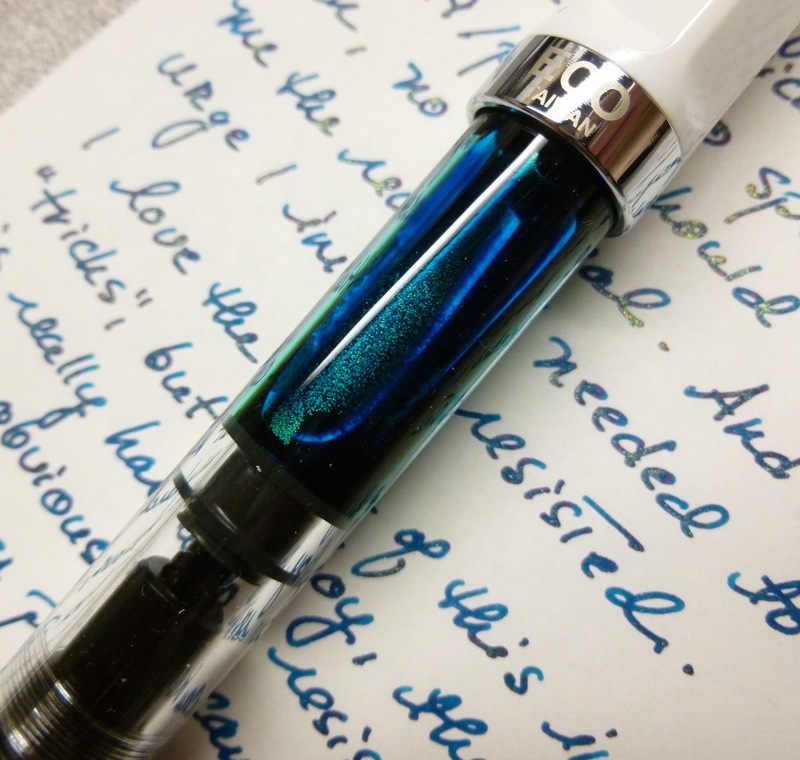 On Tomoe River paper is where this ink really shines and sheens. It’s hard to capture with my so-so camera and lighting, but there’s a lot going on on this page—red and gold and teal and blue. It’s pretty marvelous. I have two bottles and expect that this pen will be continuously inked until I run out. I can’t speak to how hard or easy it is to clean a pen inked with Emerald of Chivor as I haven’t done that yet, and it may be awhile before I do so. Maybe this Emerald of Chivor seemed too good to be true, or over-hyped, but I’m in love with it. 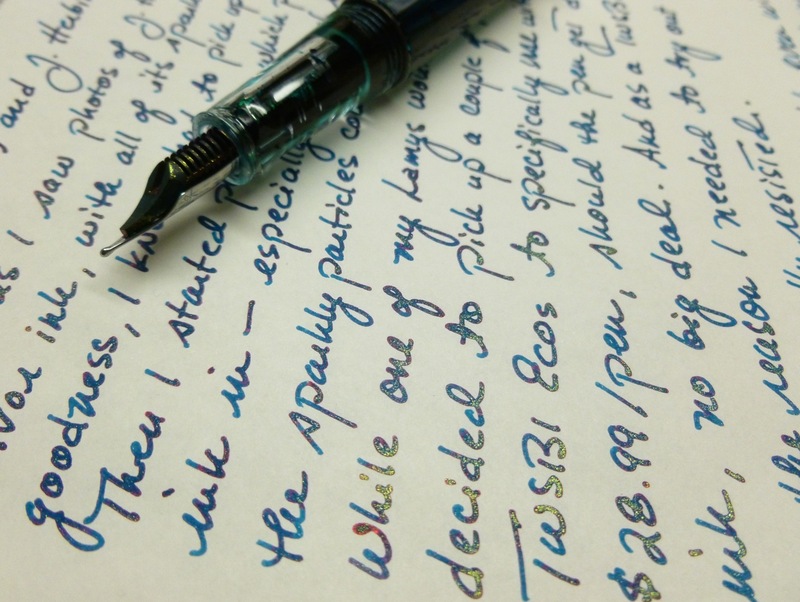 It mesmerizes me in the pen and on the page. Especially as the days turn darker and grayer, the surprising pops of color and shine in the words I write make me swoon in an inky kind of way. 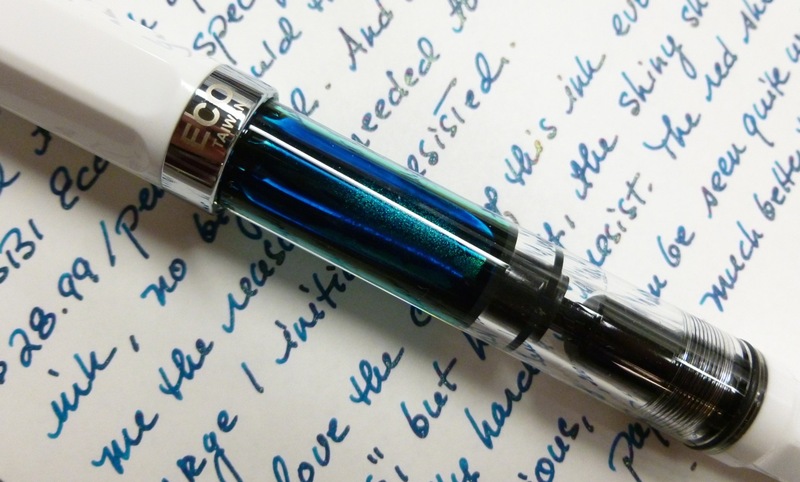 And for me, the TWSBI ECO is the perfect vehicle—sturdy, transparent, easy to fill (and probably to clean), with an easy-to-swallow price tag—to lay down a smooth rich line. Life has been a little too serious for a little too long. Though I try my best to have some fun and to look for the bright spots in every day (and really, there are A LOT), sometimes I let myself get sucked into a negative mood vortex. When that happens, it can be hard to claw my way out. Episodes of “Comedians In Cars Getting Coffee” help. So do pens. Especially Hello Kitty pens. 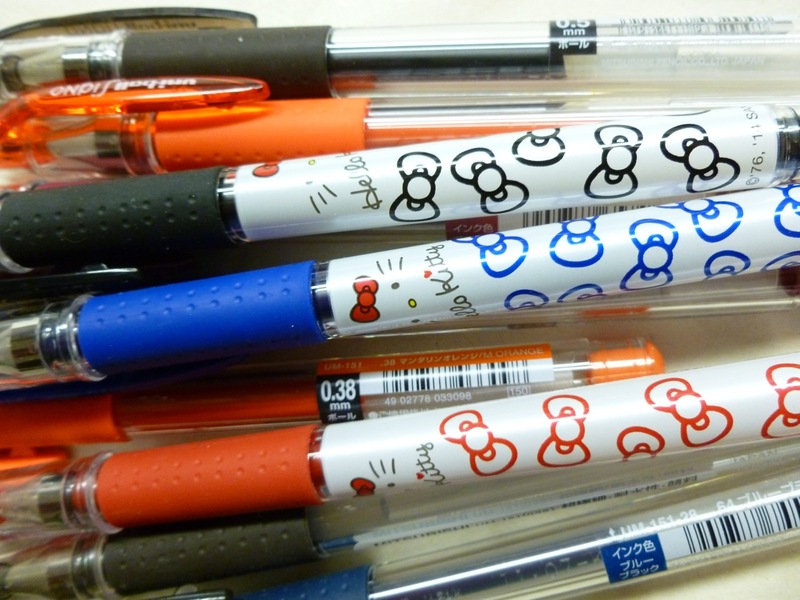 These inexpensive ($3.00 a pop) Uni-ball Signo DX Hello Kitty gel pens have a lot going for them, which makes them the perfect antidote for a case of the serious. Considerably less finicky than the Pilot Hi-Tec-C, the cone-shaped 0.38 mm tip delivers a consistently crisp, precise, and reliable line. I’ve never had to do a bunch of scribbling to get the ink flowing as I so often have to do with the needle-tip Hi-Tec-Cs. Even if I haven’t used a particular Uni-Ball Signo DX for awhile, there’s never an issue getting it to lay down ink on paper. Uncap it. Use it. Simple. The gel ink never bleeds or feathers, and feels impressively smooth, even in this micro tip size. I think it’s fantastic. 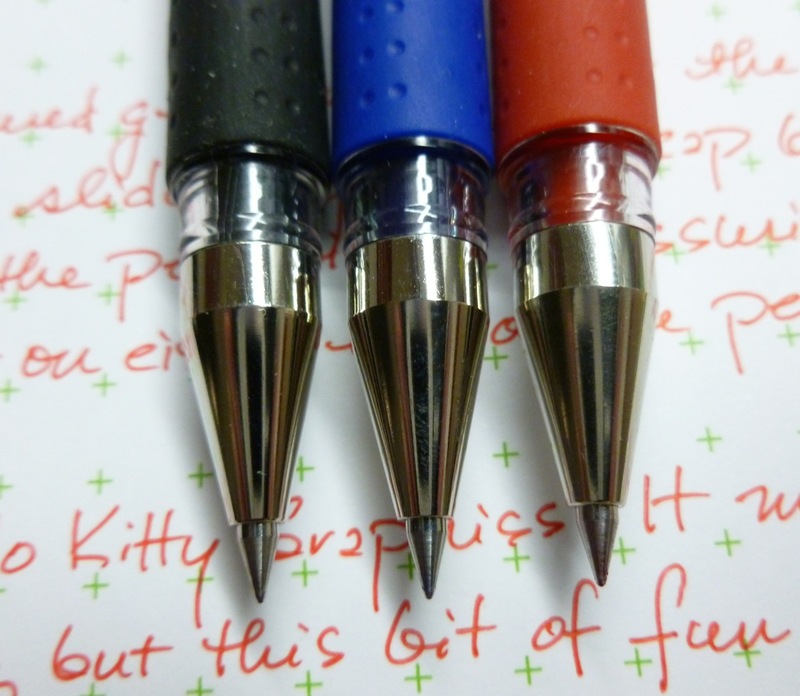 Available in seven colors (I’m not seeing black listed anymore…hmmm), and only in the 0.38 mm tip size, these are great pens to use in your planner or pocket notebook. I carry mine tucked into a Nock Co. Fodderstack and routinely jot down notes and grocery lists on my DotDash 3×5 Notecards. They’re also refillable, with Uni-ball UMR-1 refills, so there’s no need to throw away the pen body when the ink runs out. 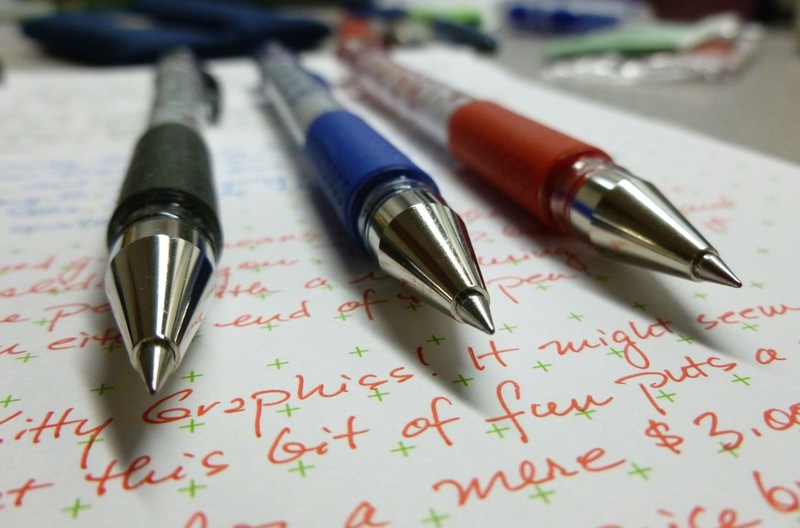 The textured grip makes for a comfortable and slip-free writing experience. 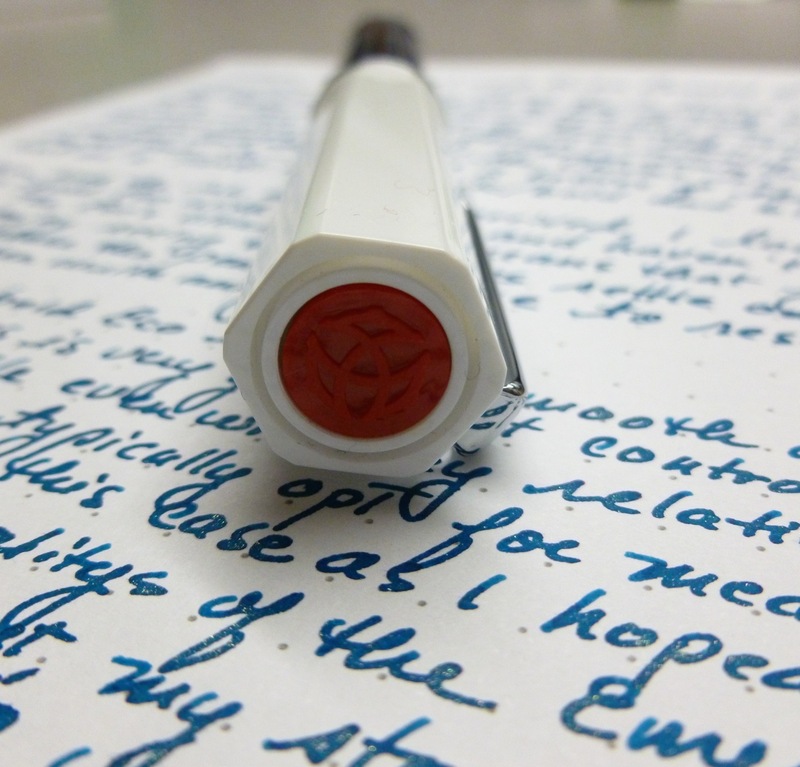 The cap snaps onto both ends of the pen with a reassuring CLICK. Neither your fingers, nor the cap, are going anywhere. PLUS- Hello Kitty graphics! 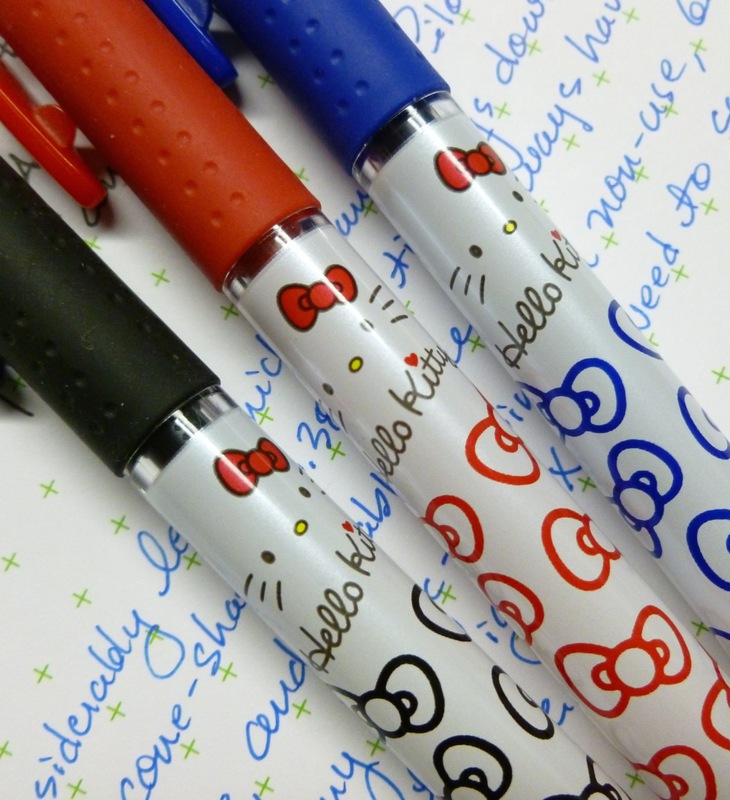 I assure you, I’m no die-hard Hello Kitty fan, and don’t own any other Hello Kitty products, but these pens are seriously cute. 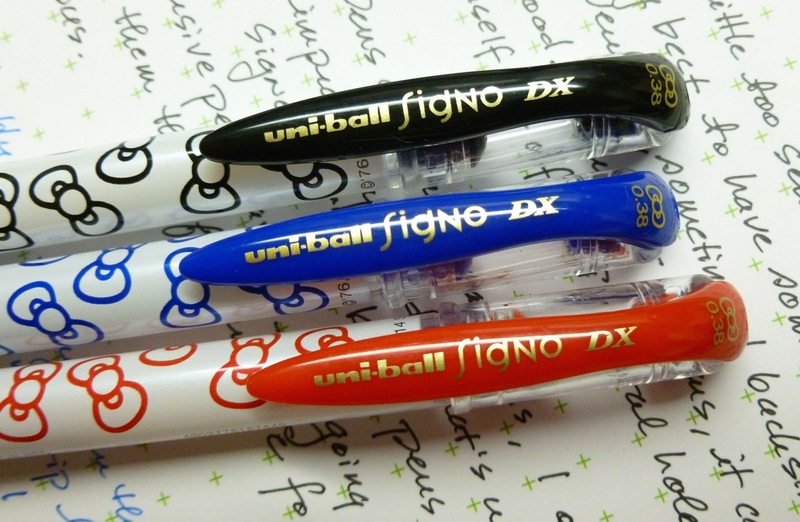 Adorned with Hello Kitty bows in the same color as the ink, and tiny kitty faces, these particular Uni-ball Signo DXs are the ones I reach for most often. They’re kind of adorable, right? I own a lot of pens—a lot of pricier and more complicated pens. 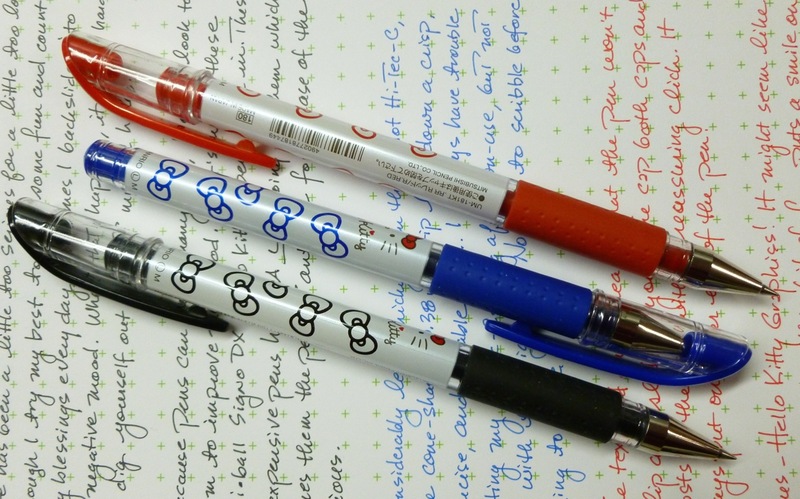 But sometimes you just want…or need…a simple, reliable, and CUTE pen. Something you can quickly uncap and use. Something that will always write, and do so smoothly and with precision. Something that makes you smile. All pens and products mentioned here were purchased with my own funds, and there are no affiliate links in this review. So…life keeps happening. My mom was recently diagnosed with an aortic aneurysm and will need surgery in the (hopefully) near future. My sister and I are taking turns getting our parents groceries, driving them to doctor’s appointments and tests, and trying to keep the mood light. Tricky stuff. We’re all feeling the stress and strain of the unknown. We’re all stretched a little too thin. We all need a little relief. 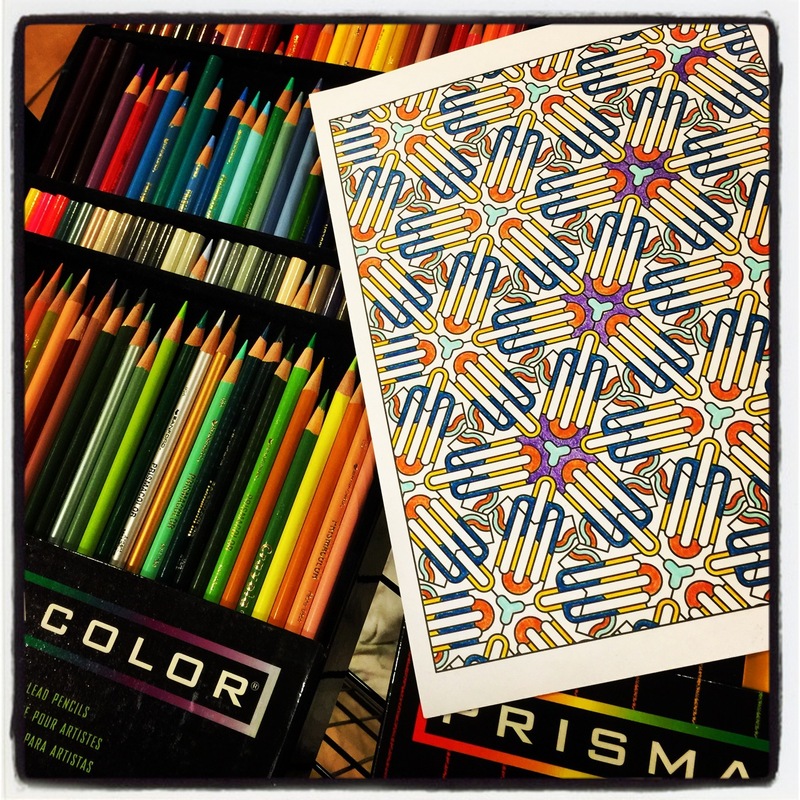 This coloring book, Tessellations by Creative Haven, picked up on sale at Barnes & Noble, is the perfect thing for a little mental respite. It’s full of geometric drawings that are detailed enough to be fun, but not SO detailed that coloring becomes stressful. Settling down with a page and my colored pencils keeps my mental gears from grinding on unpleasant thoughts. The toughest decision is which shade of blue to use. The other day, coloring even took my headache away. The page above is a work in progress.